There are no fancy bottles, no elegant or funky labels. There’s not a celebrity face to be seen or multimillion dollar marketing campaign. There’s just the juice. “Juice” is perfume industry speak for perfume, the juice inside the bottle. What happens when you strip away the packaging of a perfume, and invite people to judge the fragrance on its own merits? You get the Fragrance Republ!c, a place where all perfumers, from scent superstars who make blockbuster commercial fragrances, to newbie perfumers just starting out, all on an equal footing to present juice of their own creation. This is an artisan perfumery with no limits, no budgets and no focus panels. You are free to like the scent or not. It’s a fragrance republic after all. For François, the concept was clear. He has that market access. “Let’s start a project where whatever a perfumer submits that he or she considers whole and perfect develops without any outside creative direction,” he says. That means giving the perfumer carte blanche on materials, composition and costs. Instead of the brand, the perfumer is the focus. Each month a new scent is released, along with the nose’s bio and photo. 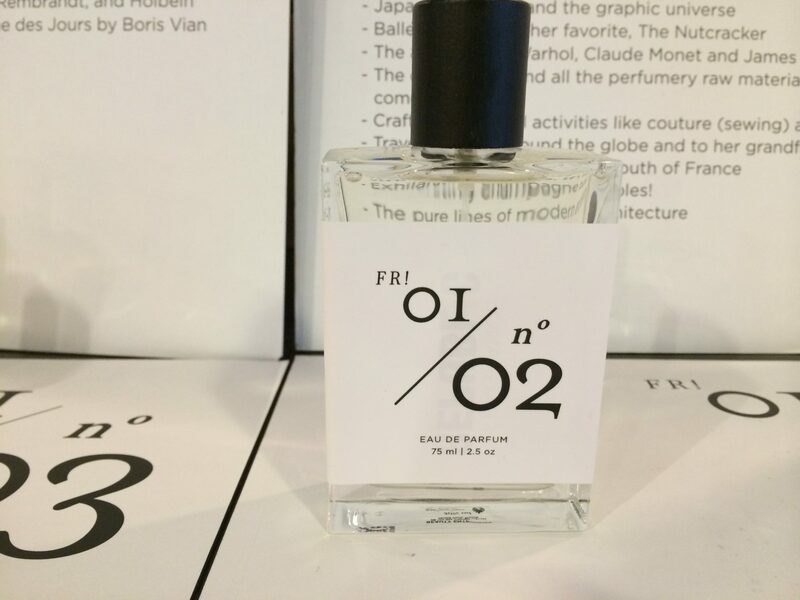 Sounds a lot like Editions de Frederic Malle, no? No. The difference is that every month one perfume from the featured perfumer of the month is sent to citizens (at the Patrician and Senator membership levels), in a small, 15 ml size to try out, live with to see how it develops on your skin and comment on. You don’t get to choose which fragrance, so you may or may not love it. The hope is of course you will, and that you will buy more from the FR! website. If you don’t care for the scent, share it with another fragrance fan. Another difference, these are perfumes never released to the marketplace. You can’t even buy them directly from the individual perfumers. They are exclusive to FR! You could say FR! is a perfume club. 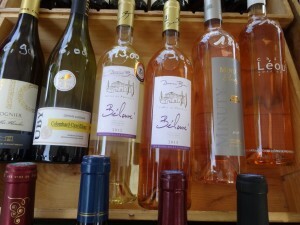 While there are similarities to a wine of the month or cheese of the month club, there are more aspects that make FR! unique. François knew he wanted interaction between members, called “citizens” and the perfumers making the scents. Citizens get the first sneak peak, or sneak sniff, of each scent. They are invited to perfume release parties and master classes with the featured perfumers and also can interact online with the noses. At the Senator level of membership you can actually become a perfumer’s muse and have a hand (or a nose rather) in developing the next new scent. You can even submit a brief for a scent you’d like to have created. Senators and Patricians also participate in voting on fragrances for release. While each perfumer does have free reign, he or she must first submit their scent for review by the Senators and Citizens and a group that includes fragrance industry insiders, experts and writers, who can reject a perfume for not being innovative enough or too similar to what’s already out there. In addition to Patricians and Senators, you can also be a Freepeople, which means you don’t get the monthly perfume samples, but you don’t pay a subscription either. You do have access to buy any of the perfumes once they are released, can rate perfumes and can attend events for a fee. And, FR! just started offering free samples of up to three perfumes (shipping is $5). To date, eight fragrances have been released since FR! launched in October 2013. 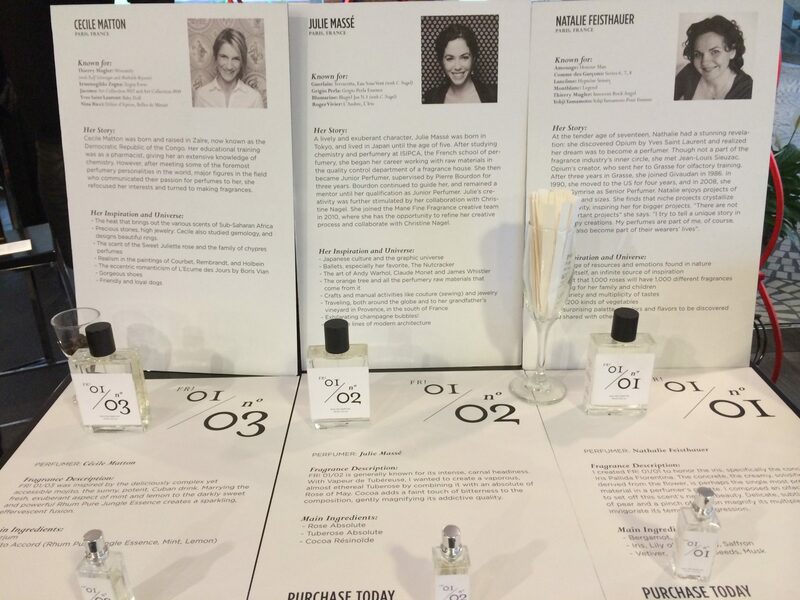 Each perfume is sent out directly from the lab, in a plain bottle with a plain white label. 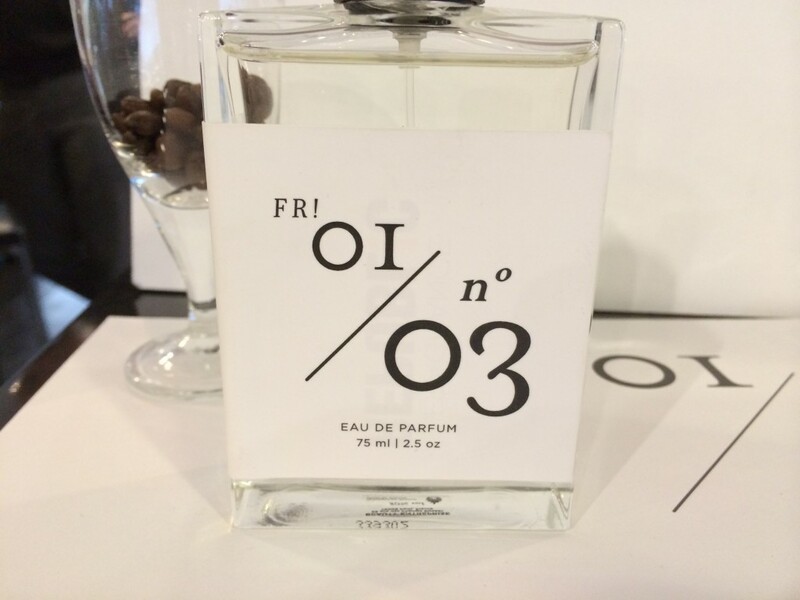 The perfumes are named only by numbers, such as 01/01 and 01/05. The most recent release is 01/08, by Jean-Christophe Hérault. The perfumer’s names are on the side of the bottle. It’s an interesting experience to try a perfume stripped of fancy packaging. You just have the pure juice to judge. I liken it to tasting wine blind. You don’t know the cost or the producer. All you have to go on is the wine in the glass. With FR! all you have to go on is the perfume on your skin. But François points out that by learning a little about the nose behind the label and the way the fragrance is made gives you a better appreciation for the craft and the perfume itself. He feels the perfume industry creates mystery, having you think Georgio Armani created that scent himself, instead of a nose at a fragrance house. He says FR! is all about making perfumer creations accessible and acknowledging the real artists. Amélie Bourgeois created 01/04, a rich fragrance with mandarin, jasmine, mimosa, sesame and tonka bean. “Amélie is very interesting because she is not a well-known perfumer,” François says. “She’s a teacher at ISIPCA, the perfume school at Versailles. She started her independent project to show she is also a perfumer.” Co-founder Bradley Skaggs says her master class was one of the most memorable so far at FR! “She basically has 35 ingredients in her perfume and she brought 22 of them with here, so we just tried every ingredient.” Imagine having access like that to the raw materials in any perfume. So far there are 800 members worldwide. 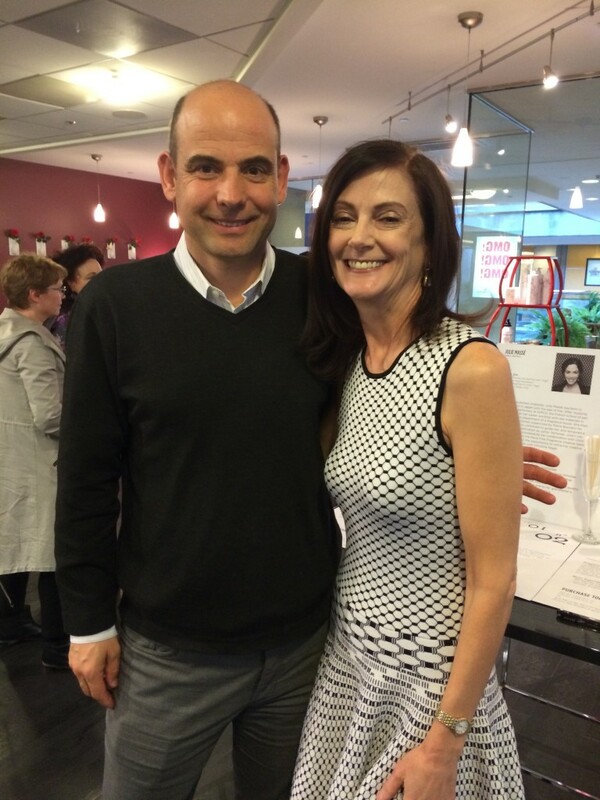 I met up with François in San Francisco on his launch of the line here. He is looking to develop a global network of local FR! chapters. 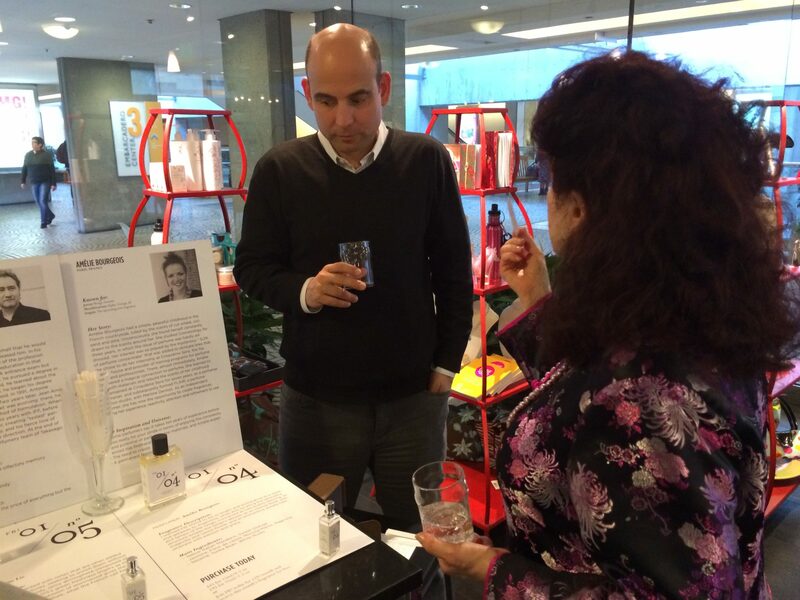 “What is most important is the human interaction,” he says, “so you can have the opportunity to have the perfumer of the month come for a master class, or go on local perfume maker visits, or just gather to enjoy the next fragrance.” It’s the emotional connection that interests François the most. I can’t wait for the San Francisco chapter to get going.